With so much development going on, we’ve really encroached upon the natural habitat of many animals. Most of these animals are relatively harmless, but some are out to kill just about anything that moves. It’s difficult to imagine that there are creatures on this earth that could simply kill us on a whim – biting us and ending our lives instantly. Most of us have been relatively safe from these creatures because of urbanization as it’s difficult for them to survive in cities. Only a few have been able to keep up with human development like the Redback spider from Australia, and even then, they like to stick to backyards or urban houses. Most of these dangerous animals live either where they’re hard to reach or are pretty shy in nature which keeps us safe from them for the most part. However, if you happen to see any of these animals, run in the opposite direction! Don’t be fooled by this jellyfish’s innocent looks. 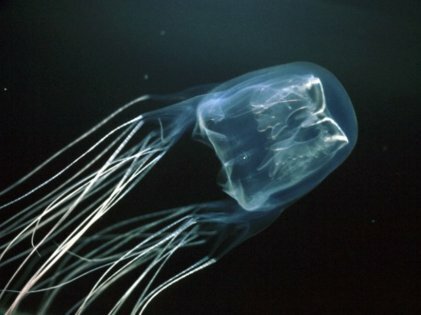 While most jellyfish are poisonous to some degree, the Box Jellyfish really takes the cake. Jellyfish have sting cells on their tentacles which they use to capture and kill their unsuspecting prey. Well, the Box Jellyfish has them as well, and the one it possesses is far more potent than any other species of jellyfish. Each of its tentacles has over 5000 sting cells which are more than enough to take down any prey it wants, whenever it wants. The toxins that it releases are so powerful that they can instantly kill or paralyze their food, so you had better watch out because even coming in contact with this creature for an instant could spell instant death for you! This snake looks almost harmless, doesn’t it? Well, thinking that way and getting close to this snake could be a disaster for you. This here is one of the most dangerous species of snakes on the planet, and a single bite would be enough to kill you within seconds. 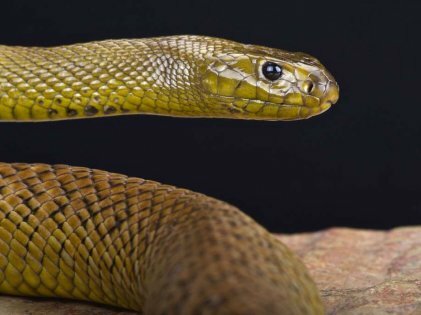 The Taipan has venom that’s so potent that a single bite could kill almost a hundred people. That’s some scary stuff, and if you want to live a long life, you should turn around as soon as you see this snake and call the local authorities. However, this snake is pretty shy and likes to stay away from attention – which is why there haven’t been any recorded deaths due to it. This is quite incredible because a snake like this should have been famous for being a deadly killer. 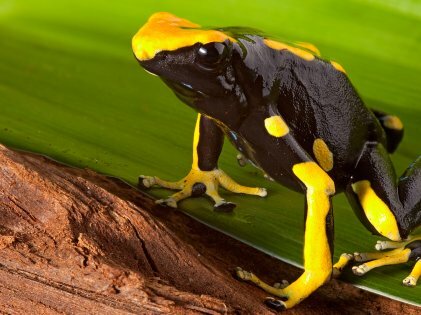 Keep this frog’s colors in mind because they could be the difference between life or death. In fact, keep away from any bright-colored frogs when you go out in the wilderness because they’re warning signs for predators not to try and eat them. Our ancestors realized how poisonous this frog was, and therefore used its poison as a weapon. The poison is generally in their skin and can be procured to be applied onto darts to make them deadly which is where the frog gets its name from. 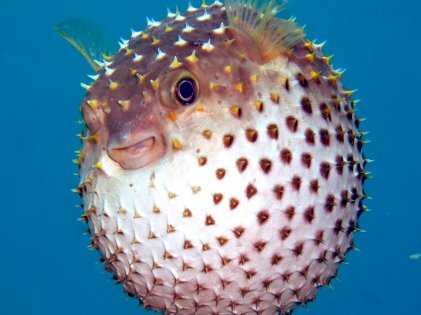 After watching Finding Nemo, you’d probably think that puffer fish are friendly creatures that simply puff up when they’re alarmed. Well, the second part is definitely correct, but this fish is not friendly at all. In fact, it wants you to stay away from it, and if you happen to come near it, the spikes on its body can prove to be dangerous for humans. Not only that, but some of its body parts are poisonous, too, which makes the fish unsafe to eat. 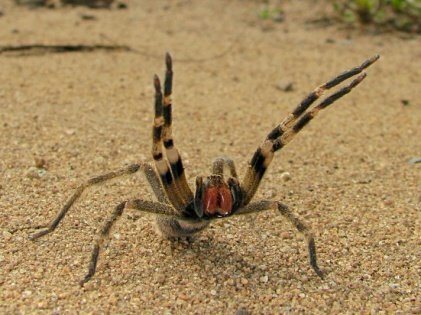 Of all the spiders that roam this earth, the Brazilian Wandering Spider is one of the most dangerous. Even looking at it is enough to drive a person away from its vicinity. Those who don’t move away meet a deadly fate because this spider has the most active venom of any spider alive and can end a person pretty quickly. It is generally on the floor of the forest due to its size and weight, so be careful where you tread when going on nature hikes in South America. These things are rare and hard to come by, but they sure make us want to stay indoors! OMG! These Six New Attractions In NYC Will Amaze Your Kids Like Never Before!